The Elo Touch Solutions 8200 series high-performance controllers are designed to work with Elo’s Projected Capacitive (PCAP) touchscreens. The 8200 series controllers are compatible with TouchPro® Pro-G and Pro-F screens from 7" to 22". 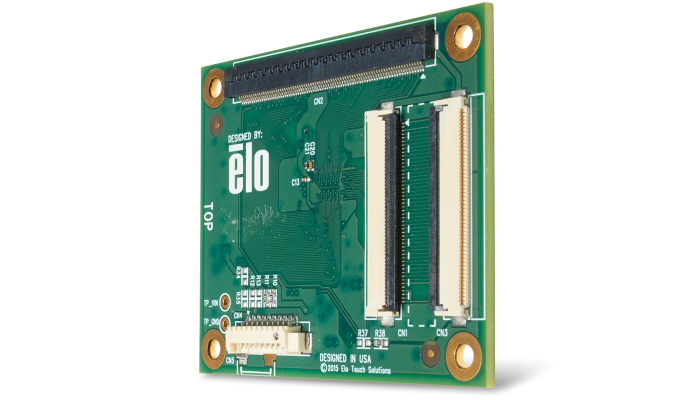 Elo’s 8200-series controllers support up to 16 touches and are offered with a dual-use connector for both USB and I2C interfaces. They are full-speed, self-powered, USB devices with Elo designed and configured firmware. 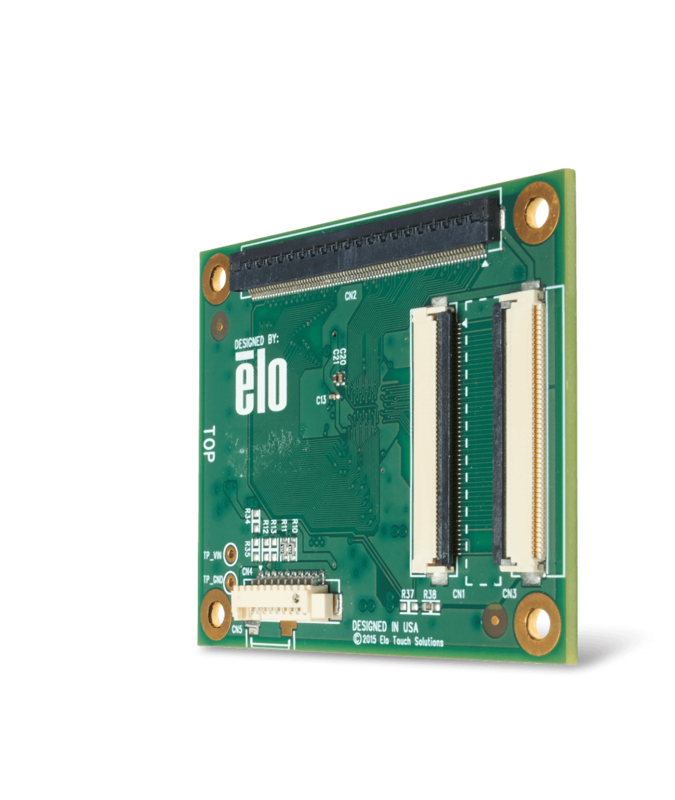 The Elo driver provides for ease of installation and setup across a variety of operating systems and architectures. The 8200-series controllers are designed to provide a high-performance touch experience when paired with Elo’s TouchPro® PCAP touchscreens. With over 40 years of experience designing touchscreens, Elo has a team of engineers dedicated to optimizing screen design and controller tuning for each application. 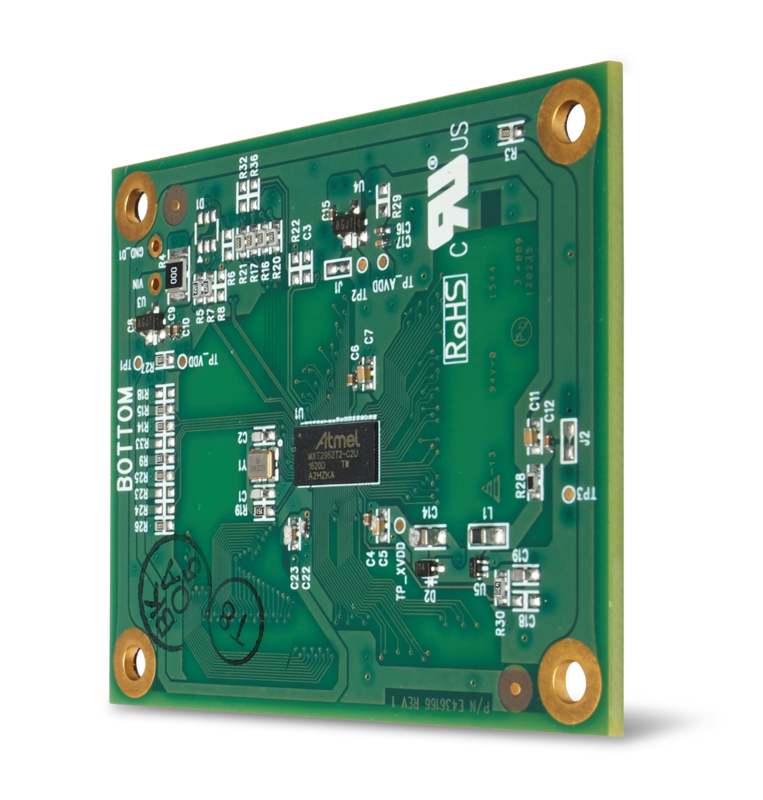 Utilizing industry leading control ICs our controllers combine the best of mutual and self-capacitance architecture for enhanced liquid resistance and noise immunity. Options are available to support passive stylus with 1 mm tip, 6 mm thick glass, and the ability to pass 10 Volts rms conducted-susceptibility testing. Elo’s 8200-series controllers have a variety of touch IC’s and form factors to choose from. Contact Elo for more details.